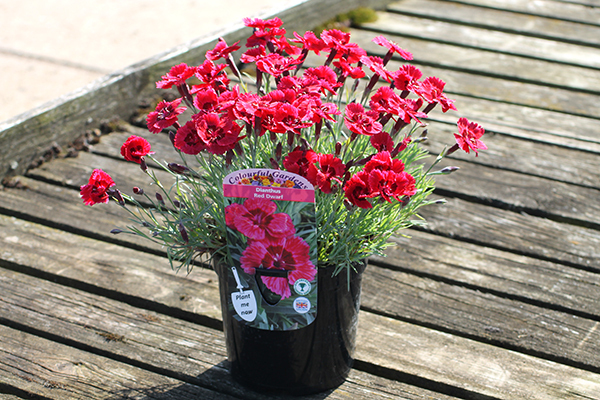 We now grow over 500 varieties of top quality Alpine plants in 9cm and 1 Litre pots and also in handy 6 packs. Our plants are grown outside, so they are exposed to the cold windy weather we experience on the east coast making them a 'true to type' hardy plant. All compost has a pest preventative plus high rates of osmocote slow release 12-14 month fertiliser. 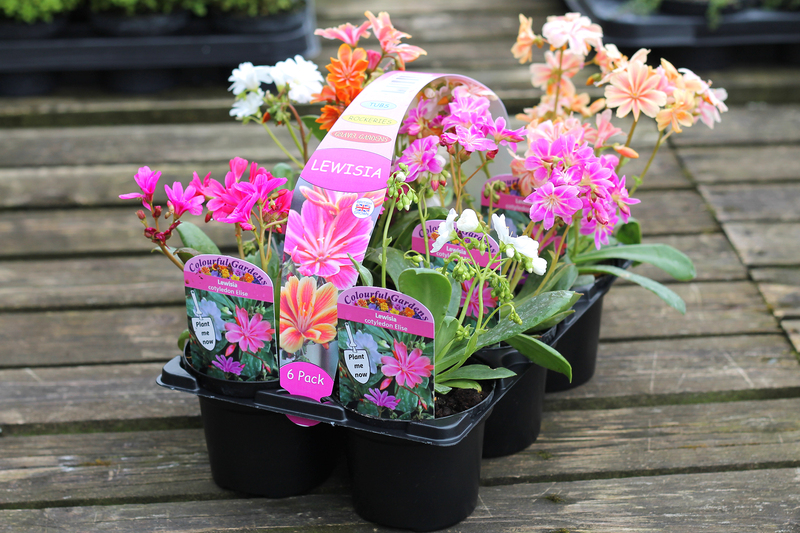 As part of the Gedney service, we will hand select the best plants that we can, prepare them, pack them into trays (20 plants per tray for 9cm, 8 plants per tray for 1L) and load them onto CC trolleys ready for despatch to you. We have our own transport and can deliver nationwide. 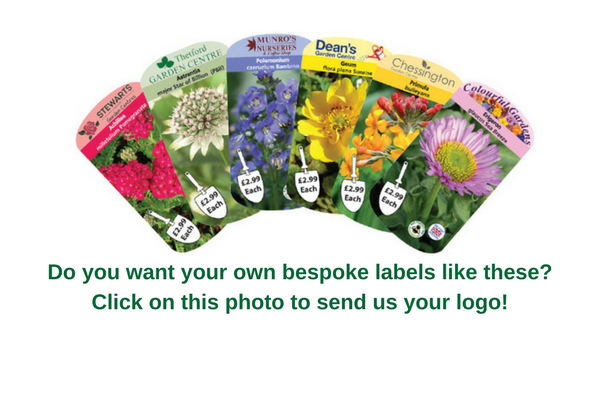 Our new eye-catching bespoke labelling service, with colour headers that match the flower colour, is available across the whole of the range at no extra cost to you! We can print your company name or logo along with any retail prices and multi-buys directly onto our professionally printed colour label. Also free with your first order (minimum 1 trolley) are bespoke point of sale boards, again this can include your retail prices and company name or logo at no extra charge to yourself! A spectacular range available year round. 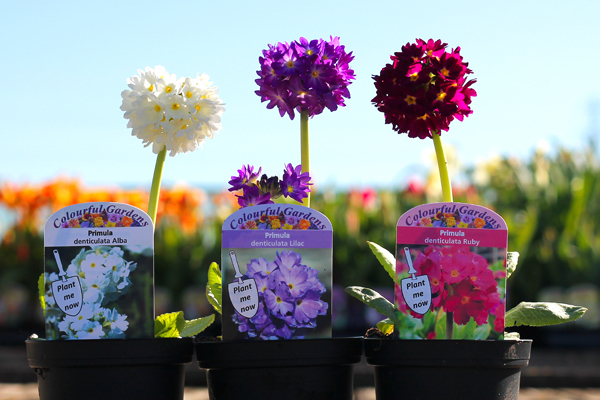 It's a great, fast selling line that's a must for every garden centre. Grown outside, meaning they will be hardy and you get a 'true to type' plant that will last. Did you know you can click the picture below to take you straight to our fast, easy online ordering? Why not give it a try today? They're a fantastic pick up line and even a great way to sell Alpines away from your Alpine display...try putting some near to your coffee shop and you'd be amazed how many you can sell! All of your retail prices are printed directly onto the front of your personalised label (see below) and the barcode on the reverse, giving you a professional look to your benches. You can choose either generic or individual barcodes to suit your needs. We send a weekly availability list out every Thursday evening. You can download it direct from our website, or if you wish to have this emailed each week, then please enter your details by clicking here. You can also order online using our 'Easy Online Ordering System' - This has a real-time trolley builder so can see when you've reached a full trolley and also shows you the value of your order as you go along. All plants are graded to determine their growth stages, so you are able to see exactly what you will be ordering and the stage it is at. If you are unsure of a variety you can click on the link and it will display an image and descriptions. The system is also responsive to mobiles and tablets so you won't have to scroll from left to right to see everything. Try today! For orders that are received by 12 noon on Monday we will deliver the same week. Our minimum delivery is just 1 trolley, in which we offer free delivery to England and Wales, and a £25 per trolley charge for Scotland. This can be made up with any of the products that we supply.